Welcome to our home, a world in which anything can happen. From sprawling deserts and vast forests to massive volcanoes and luscious hot springs, Soare and the Scattered Isles are beautiful places just waiting to be explored. For the brave and the bold or the cautious and the wary, creatures of all kinds roam the earth, looking for adventure or for a place to call their own. Species of all kinds - the well-known and the unknown - thrive here, though not always in harmony. Elenlond is an original medieval fantasy RPG with a world that's as broad as it is unique. Calling on characters of all kinds, the sky's the limit in a world where boundaries are blurred and the imagination runs rampant. Restrictions are limited and members are encouraged to embrace their creativity, to see where they can go and what they can do. It's no longer just text on a page - it becomes real. The Abilities System. Members are in control of their characters. We have a unique system in which members design their characters' spells, skills, and enchantments from the very start - no pre-determined lists, no shops, no limitations. Profiles and Characters. Profiles are fast, easy, and entirely freeform, and everything about your characters is customizable, including their race! No Word Count. We focus on quality, not quantity. No Face-Claims. There's no pressure to find a face and claim it before someone else does. Social Networking. 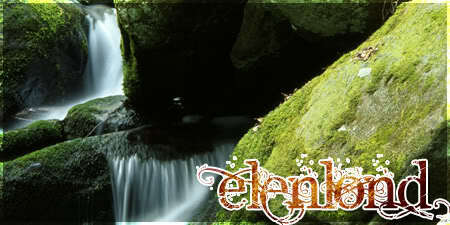 Stay in-touch with the forum by joining either Elenlond's Facebook group or its Twitter. If you can't access the forum no problem! Announcements and events are posted on both. Mini Plots. The staff host mini plots in addition to forum-wide plots to keep members interested. Still Going Strong. Thriving since June 17, 2004, we're like the Energizer Bunny!